Recently Akos has uploaded three new posts on his RadioForEveryone blog. The first post is a review of the "Ham-It-Up Plus", which is a US$65 upconverter that allows you to listen to HF on RTL-SDR dongles without direct sampling. Compared to the non-plus Ham-It-Up, the plus version includes a TCXO and the noise source circuit is populated. In his post Akos reviews the history of the Ham It Up generations and discusses the connectors and power options. He also reviews the performance and finds that the Plus seems to have better SNR. 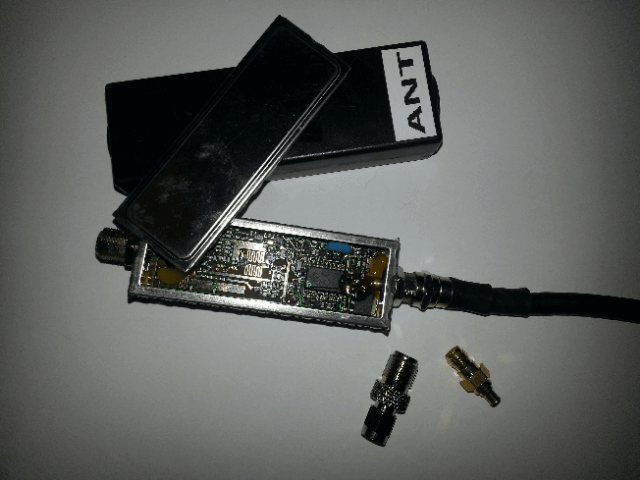 In the second post Akos has uploaded his collection of various images of different RTL-SDR dongle brands. The images include circuit board photos so you can easily compare the differences in design between brands. Finally the third post is an experiment to determine the maximum USB cable length that can be used with RTL-SDRs. His results show that the maximum is 9 meters which is actually more than the USB2.0 spec which states 5m as the maximum. 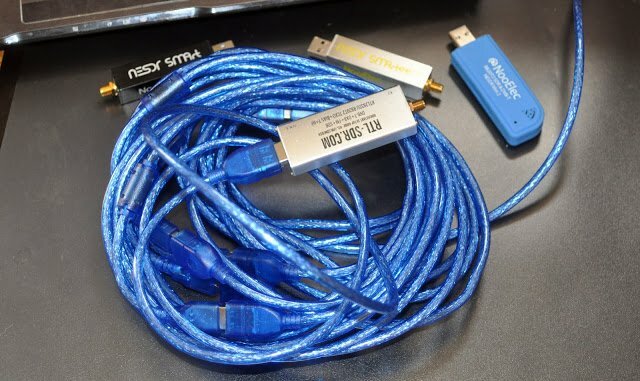 We note that longer than 9m cable runs can also be achieved by using active repeater USB cables or USB hubs. Thanks to 'Nobu' for letting us know that his RTL-SDR products sold on Amazon.co.jp are now available for international shipping (in Japanese, please use the Google Translated version if needed). Before Amazon.co.jp offered international shipping you had to use a third party Japanese forwarding service in order to purchase his products. Japan has a strong RTL-SDR scene, with a few small Japanese companies and individuals (including Nobu) selling custom RTL-SDR products on their local Amazon store. Products such as upconverters, galvanic isolators, LNAs, filters, cooling products and more are available. Back in 2015 we reviewed some of these products in a post available here. Since then we've found continued use in particular with the galvanic isolator which helps reduce noise from the computer and nearby electronics at HF frequencies. Thank you to Igor Yatsevich for submitting news about an open source Mini-Whip and Upconverter design that he's created and released for free on GitHub. 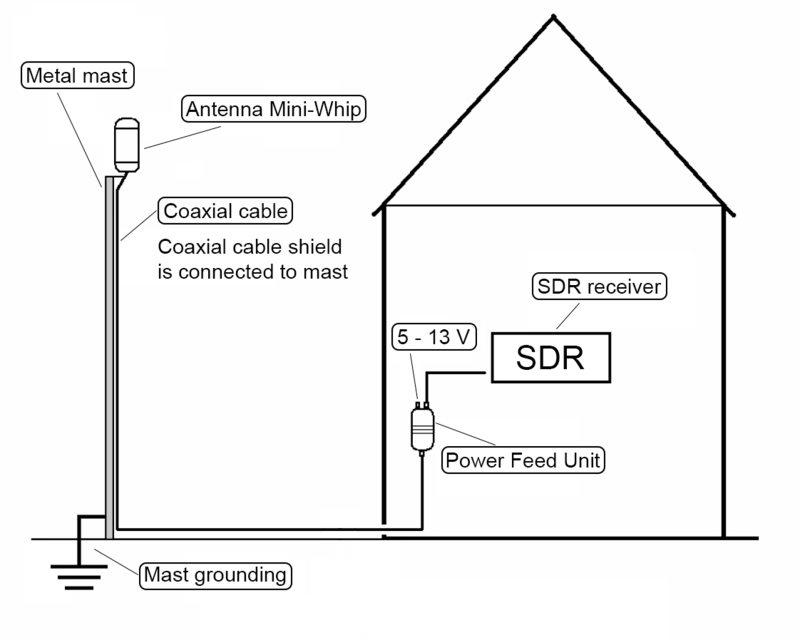 An upconverter converts HF frequencies into VHF frequencies so that they can be received by RTL-SDRs in their quadrature mode, and a Mini-Whip is a small active antenna for receiving HF signals. The designs include the PCB Gerber files for manufacturing, the components list and assembly and usage guides. Also both through-hole and SMD designs are provided. The Mini-Whip design has a frequency range of 10 kHz - 30 MHz and to power it you'll need a 5 - 13V bias tee. You will need to install it up high and preferably away from the house as Mini-Whips are quite susceptible to local noise pickup. Another very important point is that Mini-Whips need to have a good ground connection. The upconverter is based on the ADE-1 mixer, and uses a 125 MHz local oscillator. Igor's documentation on the project is excellent, and is a good read for getting more information about upconverters and Mini-Whips. He has noted that he is sending us some samples of units that he's built, so when we receive them we'll post again with test results. It looks as if he's put a lot of research into these designs so we're looking forward to seeing how well they work. Diagram from Igor's documentation about how to properly ground a Mini-Whip connected to a metal mast. Thanks to Ohan Smit for submitting news of his newly released GUI for Outernet's moRFeus wideband signal generator. Ohan's GUI works in both Linux and Windows. The Windows release can be downloaded from the GitHub Releases page. With the GUI you can change the mode between Mixer/Generator, generate noise, run a sweep, turn the bias tee on/off and generate a CW message. A few days ago we also posted about about a moRFeus GUI by "Lama Bleu" which has similar functions. Although it only appears to run in Linux, Lama Bleu's GUI can interface directly with GQRX. moRFeus is still currently on sale at CrowdSupply for $149 for the next 19 hours from the time of this post. The price is expected to rise after. Back in March we posted about the release of Outernet's moRFeus device which is a low cost wideband RF signal generator. Since then we've received a few emails from two readers who've received their units and have found some interesting hacks and have developed software for it. First we have a submission from Ohan Smit who discovered a hack that allows moRFeus to work as a wideband noise generator by setting the LO to 5 GHz and the Mixer current to 3. 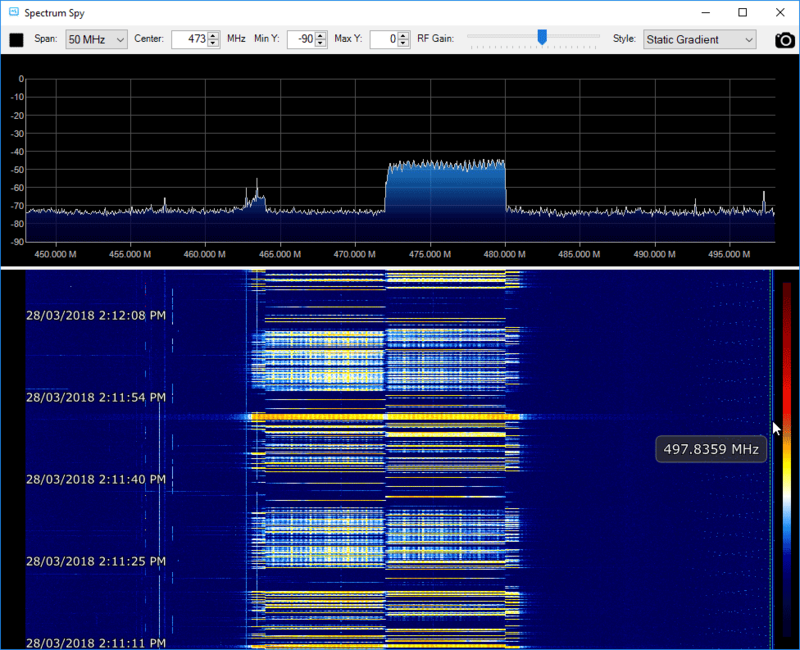 Together with an Airspy and the Spectrum Spy software he was able to measure the response of a bandstop FM filter. Over on the forums he also shows screenshots of Python based control software that he's developed for controlling moRFeus. Next we have a moRFeus Linux GUI created by "Lama Bleu". It can be used to access the same functions as via the moRFeus LCD screen, but is also has a few very useful features such as a step generator which allows a generated tone to sweep across the frequency spectrum. 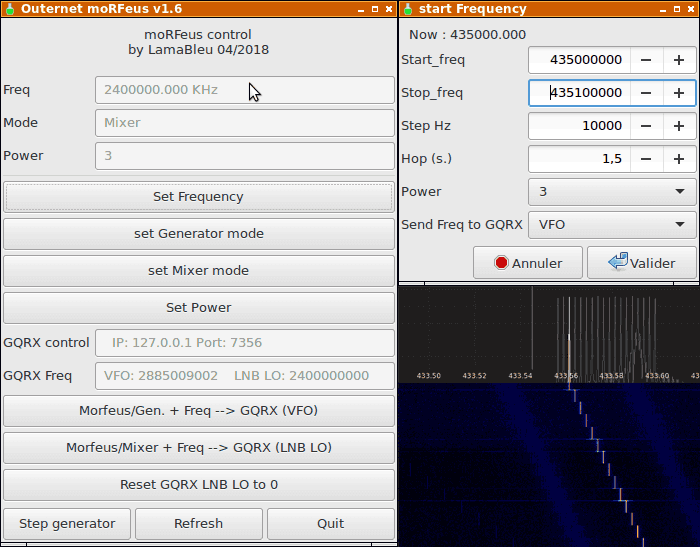 The moRFeus GUI can also connect to GQRX and sync with the LO frequency specified in the GQRX GUI for easy control. It should also be possible to implement a CW morse code generator with some scripts. Over on the forums Zoltan, one of moRFeus' designers also notes that it might even be possible to use moRFeus for WSPR modulation, although this isn't confirmed yet. It seems that moRFeus is shaping up to be a very useful tool for RF testing and experimentation. The device is currently still available on Crowd Supply for $149US with over 136 units sold so far. During development of the Outernet project the engineering team developed several tools to help them in their RF testing. One tool that they created has now been developed further into a commercial product that they are calling 'moRFeus'. moRFeus is a small handheld RF signal generator and frequency mixer. It can be used to generate an RF tone at any frequency between 85 MHz - 6 GHz and to upconvert or downconvert signals via the mixer with an input/output frequency range between 30 MHz - 6 GHz. This type of tool is useful for people working with RF hardware as it can be used for testing and prototyping. Outernet launches sales for wideband frequency converter and signal generator with complete field-level configuration. Today, Outernet announced the launch of moRFeus - a wideband (30MHz - 6GHz) frequency converter and signal generator with complete field-level configurability. The product is available on Crowd Supply for $149. The price will increase after the 30-day launch campaign. The device has an LCD display and button interface for complete field-level configuration - from setting the LO frequency to toggling between mixer and generator mode, and more. It’s in a precision-milled all-aluminum enclosure for durability and aesthetics. 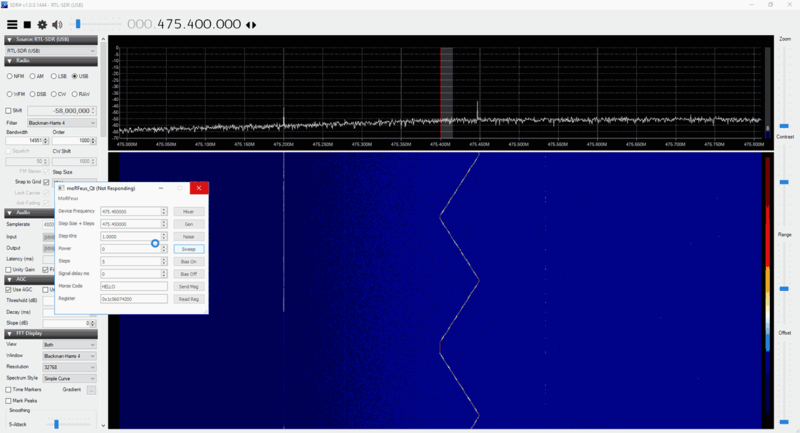 moRFeus was built for hams and hackers, people with a traditional amateur radio background, as well as a makers and researchers that are interested in RF experimentation. 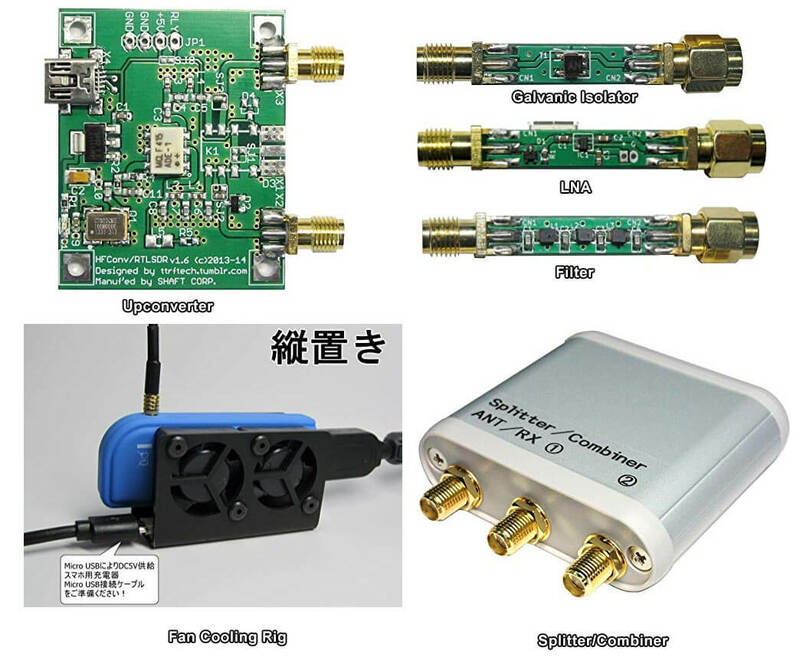 It was designed for easy integration into a wide variety of RF projects. In mixer mode, moRFeus enables dynamic frequency up- and down-conversion. In generator mode, it is one of the most, if not the most, affordable tools to generate a stable +/-2.5 ppm CW signal. Additional information on features, specifications, and performance metrics can be found in the datasheet. The team already has 100 units in stock and another 900 are going through final assembly and quality assurance in Chicago. The first 100 units will ship one week after launch and orders beyond the initial stock will ship within 30 days of the close of the campaign, or earlier. For more information and to purchase moRFeus, visit Crowd Supply. moRFeus is a 30MHz–6GHz programmable Fractional-N wideband frequency converter and generator designed for low spurious emissions and dynamic configuring of the LO frequency. moRFeus is designed for easy integration into popular RF environments using SMA connectors and is powered using an external micro-USB 5V supply. The LCD display and button interface provide a dynamic way to program the mixer LO frequency in the field with a step size of 1.5–3Hz.1 The device is USB programmable, enabling automatic operation from a PC (must be running Linux). Dynamic toggling between mixer and generator modes adds to field-level functionality. An optional bias voltage of 5V is available via RF choke to the mixer input to supply active antenna systems. The Outernet team sent us a moRFeus unit for testing a few days ago. It comes in a portable 3.5 x 2.7 x 1.5 inch (8.9 x 6.9 x 3.8 cm) conductive milled aluminum enclosure and weighs 7.4 ounces (210 grams). The construction is very solid, and should easily survive being thrown around in a carry bag, although we'd still advise caution as the LCD screen is not protected by a window. The unit is powered via a standard micro USB port. After connecting a USB cable the unit immediately powers up shows a frequency selection screen on the LCD display. Five small buttons are used to control the interface, and we found it very easy to adjust the output frequency using these buttons. Using the interface the unit can be switched between the "Generator" and "Mixer" modes. In the generator mode moRFeus simply generates a CW tone at the desired frequency. In the mixer mode moRFeus takes an input signal, mixes it with the generated tone and puts the result on the out port. Mixing a signal with a tone is the core concept behind devices like upconverters, downconverters and tuners. For example, by generating a mixing tone at 2 GHz with the moRFeus, we are able to view 2.4 GHz WiFi signals at 2.4 GHz - 2 GHz = 400 MHz. In the screenshot below we set moRFeus to run in mixer mode with the LO frequency set at 2 GHz. 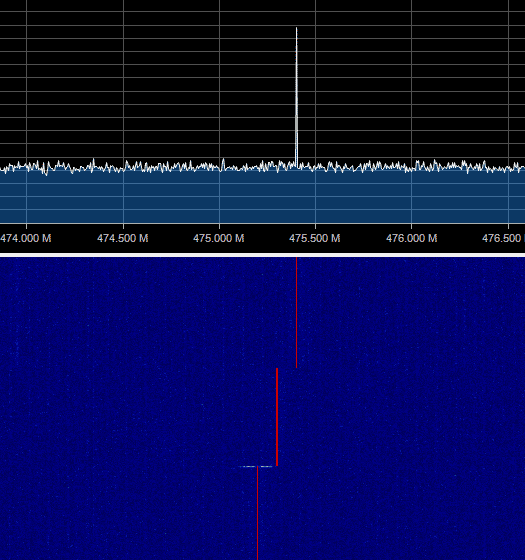 This allows us to view an active WiFi signal at 2.475 GHz using an Airspy and the SpectrumSpy software. 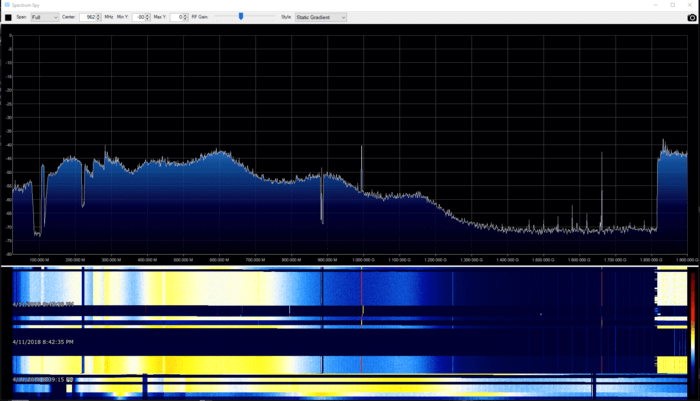 The Airspy can only tune up to 1.8 GHz by itself, so it can't view the WiFi band directly. 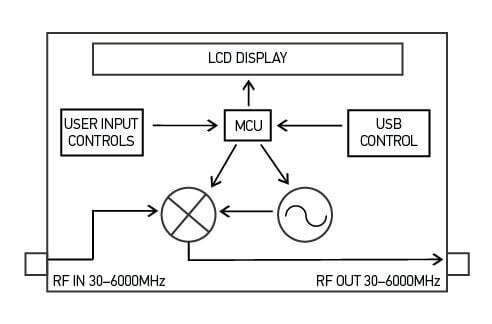 Of course to use as a proper downconverter filtering is required to remove any images and interfering signals, but by being able to easily change the LO frequency you are able to move the signals around quite easily to avoid images or interference. Unfortunately one limitation is that moRFeus' lowest input frequency is 30 MHz, so it can't be used to upconvert HF signals. Viewing a 2.4 GHz WiFi signal on an Airspy by using moRFeus as a downconverter with LO set to 2 GHz. moRFeus also works well as a standard RF signal generator, and we were able to get a clean CW tone on any frequency between 85 MHz - 6 GHz. moRFeus also shows up a a device on the PC, and the team write that it is possible to control it programatically via Linux, however documentation for this does not exist yet although it is scheduled to be released later. We would love to see a sweep feature which should be possible with PC control. In conclusion if you are looking for a low cost signal generator or mixer to use in your experimental RF projects, then moRFeus certainly does seem like a good deal. A tool like this is very handy to have in your RF kit. Over on YouTube Adam 9A4QV has uploaded a video of him testing out his 'UP-64' upconverter together with an RTL-SDR. An upconverter moves low frequencies 'up' into a higher frequency. This is useful for HF reception, as normal reception on an RTL-SDR starts at about 24 MHz (without using direct sampling mode). Adam previously manufactured and sold his UP-100 upconverter, which was an upconverter of his own design that utilized a 100 MHz oscillator. These days it has been accepted that using an upconversion frequency that avoids the broadcast FM band is generally better as it avoids the interference that can come from very strong FM signals. The 64 MHz oscillator on the UP-64 avoids the broadcast FM band for the most part unlike the older UP-100.